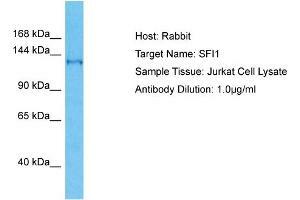 Characteristics This is a rabbit polyclonal antibody against SFI1. It was validated on Western Blot. Background SFI1 plays a role in the dynamic structure of centrosome-associated contractile fibers via its interaction with CETN2.